Italy doesn’t shout loud enough about its ski resorts. Even though many of them are accessible from the coast. Perhaps Italians prefer to keep these a secret! In more than one region, it’s feasible to wake up in your home by the sea and be on the slopes before lunchtime. Great if you’re living in Italy in winter, and a real boost to your property’s rental attraction in summer too, when the cool of the mountains can be welcome relief! 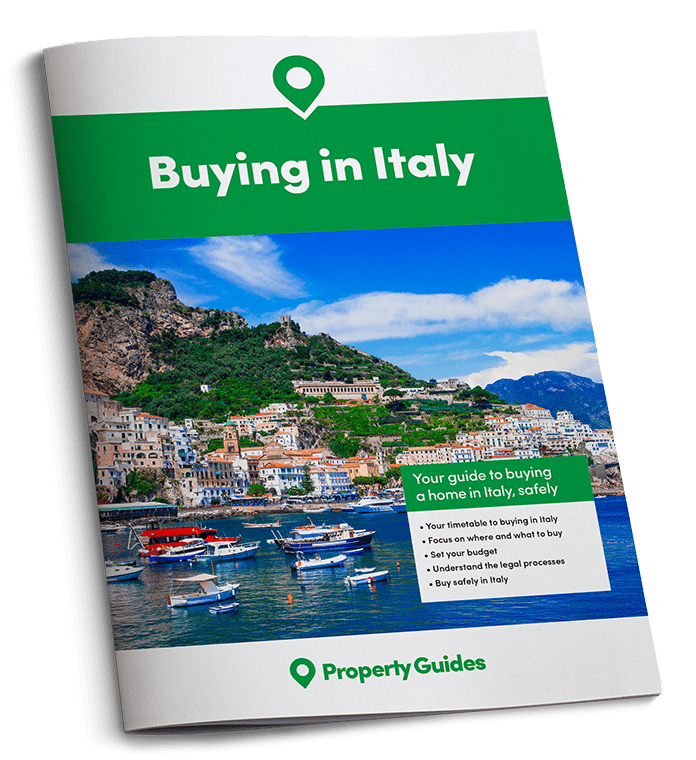 If you need a little more help on locations, read our Where to Buy in Italy section. 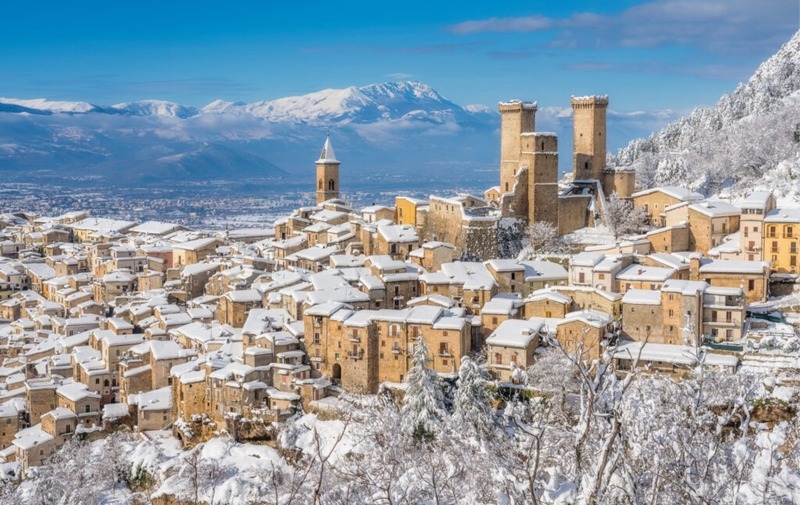 Too long in the shadow of the better trodden Italian regions of Tuscany and Umbria in the north and increasingly Puglia in the south, Abruzzo is an unspoilt gem. It offers authentic rustic charm and fantastic natural scenery. Keen swimmers and skiers can swap their speedos for salopettes and drive from coast to ski resort in around an hour. Abruzzo is halfway down Italy’s boot. Which means that nowhere along its 130 kilometres of Adriatic coastline is far from its pretty and mountainous interior. This includes some of the finest slopes of the Apennine mountains. Abruzzo boasts 18 ski resorts, with a combined 261 kilometres of slopes. Roccaraso is Italy’s third largest resort outside of the Alps. Along with Campo Felice and Campo Imperatore it makes up Abruzzo’s most popular resorts. Keen swimmers and skiers can swap their speedos for salopettes and drive from coast to ski resort in around an hour. In addition, Abruzzo’s Teramo province is popular for holiday homes, including among city-dwelling Italians. Usually they tend to buy in one of the so-called ‘seven sisters’ beach resorts, known for their pristine water and family-friendliness. These are Martinsicuro, Alba Adriatico, Tortoreto, Giulianova, Roseto degli Abruzzo, Pineto and Silvi Marina. Need a little help to find perfect Italian ski homes? Diana runs our free Italy Property Hunter service. She has contacts with thousands of estate agents up and down the country. To get in touch, simply fill in our form with your requirements and she will give you a call back. Cultural hot spots like Florence and Bologna, combined with ancient hilltop villages and rolling countryside covered in olives and vines helped Tuscany become the UK’s number one second-home destination in Italy. As if the region did have enough to brag about, it also has a collection of ski resorts to its name. These include Abetone, the largest resort in whole of the 600-mile long Apennines. Purchase a second home on the Tuscan coast in resort such as Marina di Carrara, Marina di Massa or Partaccia and you could be just a couple of hours’ drive from Abetone’s 50 kilometres of slopes. Other Tuscan ski resorts include Zum-Zeri-Passo Due Santi, deemed one of the prettiest in the Apennines thanks to its views of the Ligurian and Tuscan coastline. Monte Amiata is another, set amongst Europe’s largest beech forest. Bellagio, on Lake Como, just short drive from the slopesYou don’t need to be on the coast to enjoy a waterside in northern Italy. 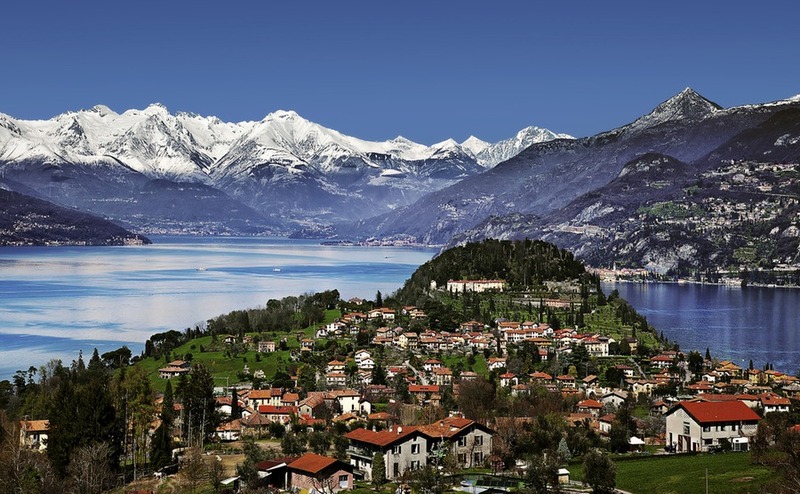 A favourite with celebrities, Italy’s Lakes in the Lombardy region are a paradise for lovers of the great outdoors who like to immerse themselves in natural scenery. Lake Como offers water-based activities and trekking in the summer. Coupled with this is quick access to world-class ski slopes in the winter months. And all just a short transfer from the chic cosmopolitan city of Milan. Property prices here are on the higher side, but then you could be rubbing shoulders with the rich and famous. Halfway up the western shore of Lake Como is the resort of Menaggio. This is a popular tourist and second-home destination, with an old town, lovely promenade and ferry service to other towns around the lake. There are small ski resorts less than an hour from Menaggio, including Piani di Bobbio. Moreover, driving for no more than two hours gives you a good choice of quality resorts, including Bormio and Aprica. You also have Andermatt, just over the border in Switzerland. As the toe of Italy and its most southerly region, Calabria is best known for its sandy beaches, hot climate and sunbaked landscape. In recent years, foreign property-hunters have discovered just how affordable its property is, including homes next to the beach. Head inland though and much of the largely untouched natural terrain rises to towering peaks. Much of the Calabrian interior is protected within one of its three national parks – Sila, Pollino and Aspromonte, or the Serre regional park. 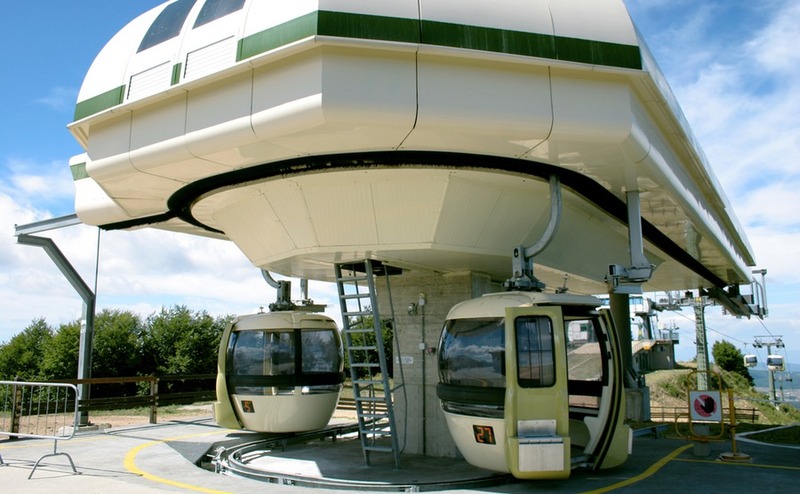 The modern cable car in Sila – your access to the cool of the mountains! Sila is home to the two ski resorts of Lorica and Camigliatello Silano. Meanwhile in Calabria’s southern tip is the resort of Gambarie in the Aspromonte park. Whichever you visit, dramatic sea views from the slopes are a given. Another of Calabria’s most popular resorts is Pizzo Calabro. This is around 90 minutes’ drive from Sila’s two resorts and with a selection of holiday homes near the beach.